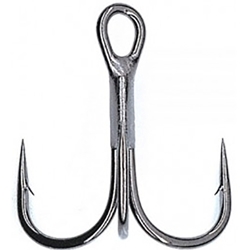 The Hayabusa Premium Nickel Treble Hook are made from forged metal wire material for long-term action. They are designed for anglers to be able to easily change treble hooks on their favorite hard baits. They have super sharp hook points for easy hook ups.